Blizzard Pearl 2019 Toyota Land Cruiser Base 4WD 8-Speed Automatic (ECT-i) 5.7L V8 DOHC Dual VVT-i 32V We are the highest rated Toyota dealer in OKC on Google and have the largest fan base of all new vehicle dealers on Facebook. 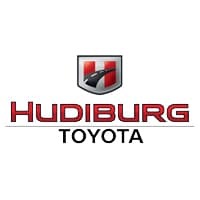 Hudiburg Toyota gives you more! More discounts, more savings and more service during and after your purchase.